Established in 2005, Churchill Windows is a local business that believes customer satisfaction is paramount. 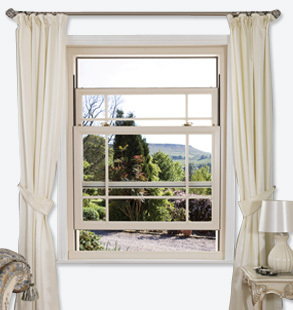 Our current offer is 7 windows for only £1249, please enquire for more details. Based in Hayes and operating around Denham, Hillingdon, Uxbridge, Greenford, Harlington and Harrow, we are a local family run business that do not subcontract. All work is carried out by our qualified staff and we have our own workshop on site. From the moment you contact us you can be assured of the highest standards of customer service, which includes offering great advice, hassle free installation and after sales care. We have a wide variety of great windows and doors to suit all budgets and regularly run special offers. We are fully insured and all work carried out comes with a insurance backed guarantee. We are members of FENSA and we can provide numerous local references upon request. If you would like us to provide you with a free, no obligation quotation please call us on 020 8561 6636. 1 meter x 1.5 meters with one top opening white upvc 7 window. Supply & fit £1249.00 only. Churchill Windows provide double glazing, windows and doors. Double glazing installers, window installers, bi-fold doors and glazing repairs. We install uPVC windows, doors and conservatories in Uxbridge, Hayes, Hillingdon, Greenford, Harrow and surrounding areas. Double glazing Uxbridge | Double glazed windows Hillingdon | window installers Greenford | double glazing Hayes | double glazed windows Harrow | window installers Uxbridge | double glazing Hillingdon | double glazing Greenford.